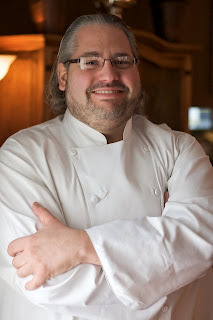 Get ready for something new in regards to this week’s special at Restaurant Michael (64 Green Bay Rd., Winnetka, Ill.). Instead of offering seafood from the kitchen, Restaurant Michael will offer 'Filet of Beef Tenderloin “Stroganov” Cooked Tableside by Chef Michael Lachowicz' tomorrow (Friday, Nov. 19). This tasty dish will be served in a perfect, rich and savory sauce, and finished with a pinch of Paprika and a smidge of Crème Fraiche for just $28. Make sure to bring your appetite as this seven ounce tenderloin will be served over wild rice pilaf with baby autumn squash. Don’t forget to indicate your preference when making a reservation. Reservations can be made over the phone at (847) 441-3100 or OpenTable.com. Interested in kicking back and letting someone else do the cooking this Thanksgiving? Keep in mind Thanksgiving dinner will be hosted from 1 p.m. to 4 p.m. at Restaurant Michael Thursday, Nov. 25, offering both dine-in and “Thanksgiving To Go” for $49 per person (plus tax and gratuity). All orders for “Thanksgiving To Go” must be placed in advance by Sunday, Nov. 21 directly with Chef Michael Lachowicz at (847) 404-6916. Dine-in reservations are accepted in 15-minute intervals and may be made through OpenTable.com or calling Restaurant Michael at (847) 441-3100. Restaurant Michael is located at 64 Green Bay R. in Winnetka, Ill. (847) 441-3100. Complimentary parking is available. Learn more at http://www.restaurantmichael.com/. Be sure to “Like” Restaurant Michael on Facebook at www.facebook.com/RestaurantMichael and follow Michael on Twitter at @RestoMichael.